Sleep is important for kids to grow up healthy and strong, but getting your little ones to adhere to a regular bedtime can be easier said than done. If it always seems like you have to fight with your children for them to turn the lights off at a decent hour, consider the following bedtime tips. TV, video games and the internet can leave kids wired when they should be winding down for sleep, so it’s important to switch these off prior to bedtime. Instead of turning off these devices and immediately sending the kids to bed, have your children finish up any games or TV shows at least a half hour before bedtime. Nighttime routines can be valuable for helping kids settle down before bedtime. 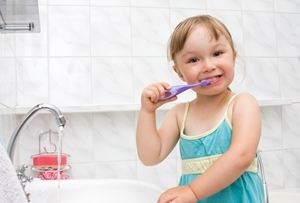 Once the electronics are off, have your kids head to the bathroom to wash their faces and brush their teeth. Afterward, your children can arrange their clothes and books for school the next morning. While it’s fine for kids to have a snack after dinner, eating sweets too late can make it difficult for them to fall asleep. Try to limit bedtime snacks to an hour or more before your kids to go sleep so they don’t have any digestive problems that could lead to poor sleep or bad dreams.